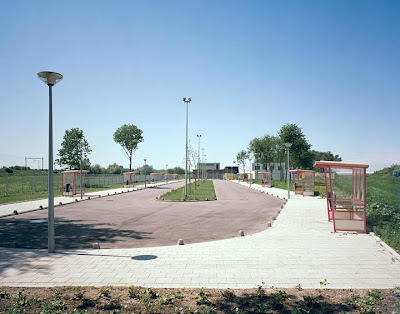 Some time ago, I came across Brian Rose's photographs of the (landscape of the) Iron Curtain. I managed to find out that they had been published in a book. With some luck, I convinced the university library in Göteborg, Sweden, to purchase the book - The Lost Border: The Landscape of the Iron Curtain (Princeton Architectural Press, 2004) - for their collection of photography monographs. Borrowing it, I spent a considerable amount of time studying the landscapes (historical, social, enomical, political) Brian had captured on film. I feel that Brian's photographs gave me new pieces for a puzzle - a puzzle about Cold War history and politics in Europe - that I had not managed to find before. Brian's photographs became, for me, a kind of visual history in its own right. 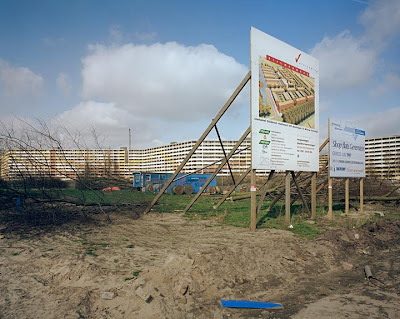 Looking at his own city of residence for many years, Amsterdam, Brian has brought with him the same acute sense of place and context as that shown in his work on the Iron Curtain. 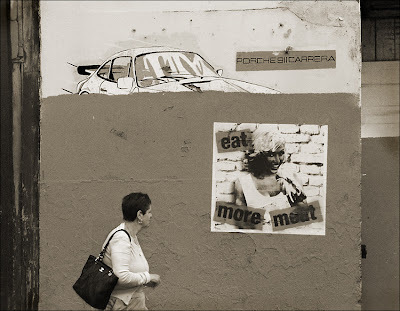 The F blog is proud to present new work by Brian Rose, work about a city on edge. Enjoy. For the last 15 years I have lived in Amsterdam, making frequent trips to New York where most of my professional photography work has been located. In January my family and I packed up and moved to New York. So, it seems a good time to take stock of my extended stay in the Netherlands. We lived primarily in the center of Amsterdam, the famous urban village of canals and bicycles. It was a great life style environment, but it didn’t interest me much as a subject for photography. What could I add or subtract from this idyll of urban seamlessness? Even the red light district appeared tame, and cozily contained. 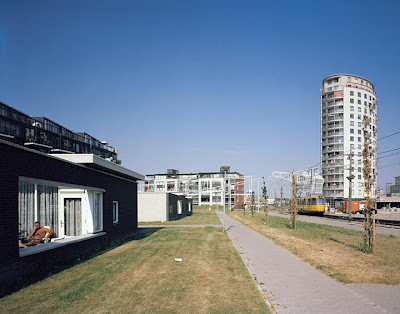 But I eventually found rougher edges of the city along stretches of the once bustling waterfront, and I discovered the new neighborhoods on the periphery, the playgrounds of Dutch planners and architects. This was clearly where the action was. 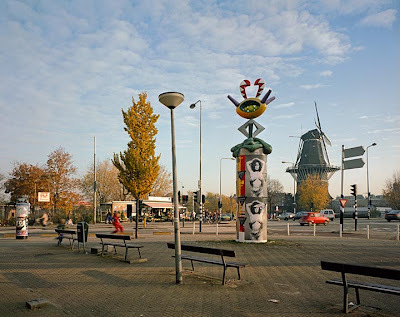 In the 19th century Amsterdam was a compact city ringed by a series of windmills, a few of which still exist. Beyond that lay the polder, the land reclaimed from the many lakes and marshes of the surrounding countryside. The city expanded into the polder in the early 20th century, creating new neighborhoods featuring the architecture of the so-called Amsterdam School. 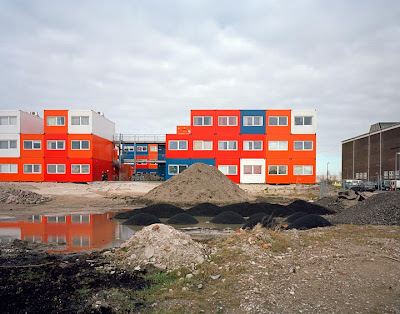 I photographed one of those neighborhoods, the blocks surrounding Mercatorplein, a square in the west of Amsterdam, and that project became a book entitled Mercatorplein, a Map of the World in Amsterdam. Mercator, of course, was the Flemish cartographer whose map projection opened up the navigation of the world’s oceans, and helped make Amsterdam the great mercantile center of the 17th century. 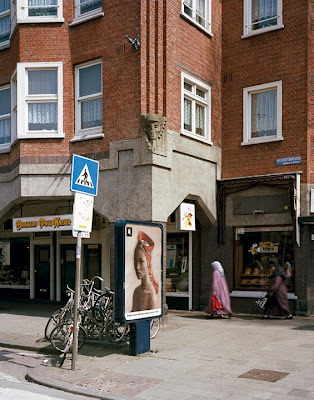 At the time of my project, the area around Mercatorplein with its streets named after seafaring explorers had become populated predominately by Muslims from Morocco and Turkey, and it is here that I first became aware of the tensions that lay beneath the calm surface of Dutch society. After World War II, Dutch planners took up the huge task of rebuilding the country, and Amsterdam, though not devastated like Rotterdam, nevertheless, lay in tatters. 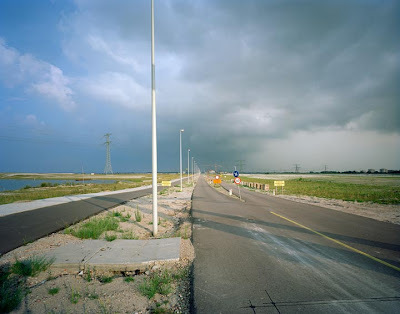 To the south and west, neighborhoods of Corbusier-style flats and open parkland were laid out in the polder. 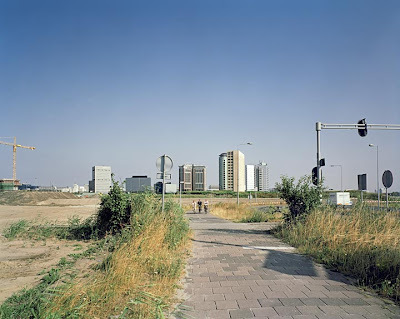 The most utopian of these was the Bijlmermeer, an immense honeycomb of housing projects linked by a network of paths and highways designed to separate cars and pedestrians. Although intended for working class Dutch, it became, to a great extent, an ethnic enclave populated by Surinamese who had fled the Dutch colony at the time of its independence. By the late ‘90s, Dutch planners were performing drastic architectural surgery on this increasingly dysfunctional city within a city. Some of my exploration of the outskirts of Amsterdam was done on assignment, but I also spent a lot of time wandering about, taking trams to their end points, or driving to obscure areas along the freeways. 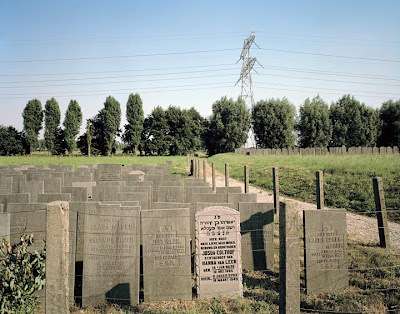 One unexpected discovery was a Jewish cemetery bisected by a train viaduct and hemmed in by a freeway and high-tension power lines. Many of the gravestones were marked Westerbork, the name of the camp that served as a way station en route to Auschwitz and other Nazi camps. Nearly 90,000 Jews, more than 10 percent of the population of Amsterdam at that time, were killed. Among the strangest sights on the periphery of Amsterdam was a fenced in drive surrounded by a sidewalk and a dozen bus shelters—also situated along a rail viaduct. During the day it was deserted. 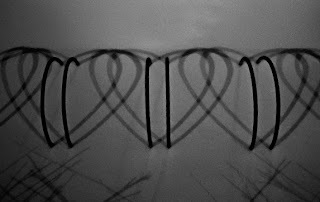 At night cars circled the drive as men ogled the women standing in the shelters. This was Amsterdam’s official prostitution zone (tippelzone), an attempt to regulate drug-addicted prostitutes and remove them from the center of town. The attempt failed for a myriad of reasons, not the least of which was the admission by a prominent city councilman that he frequented the zone. The tippelzone closed in 2003, but the paved circuit and bus shelters remain. The Dutch believe that society can be made—that it is malleable and can be designed and constructed. They skillfully employ modest means to reach ambitious goals. When they fail they keep on trying. But sometimes I see them forever pushing on their pedals against the wind, the gleaming city in the distance a mirage rather than reality. What I once thought was tolerance and liberalism I now understand to be a compulsion to organize and manage. Each to ones own door, but keep the curtains open. Everything is permissible as long as it can be contained—and the dikes hold. 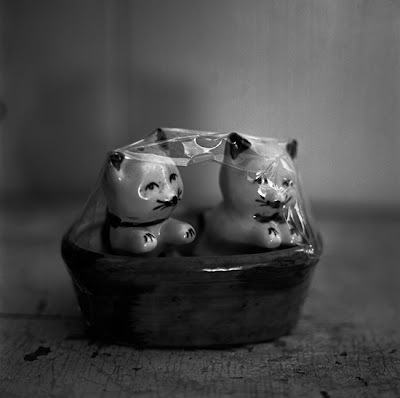 You will find more of Brian Rose's work here. 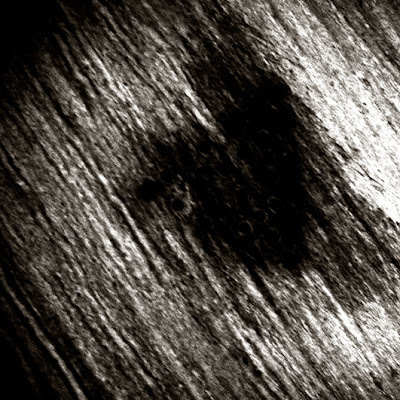 Brian Rose was invited to the F blog by Joakim Sebring. Have you seen the latest Burger King commercial? 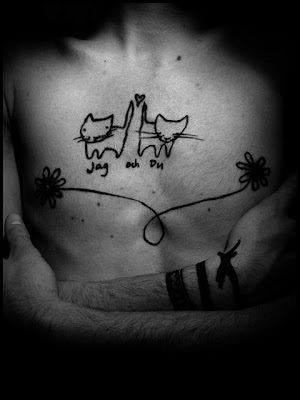 -- "I am man..."
"Jag och Du" / "Me and you"